The latest data and analysis from Landbay has revealed that the average rental growth along the Elizabeth Line has increased at more than double the rate of the London average over the last 6 years. 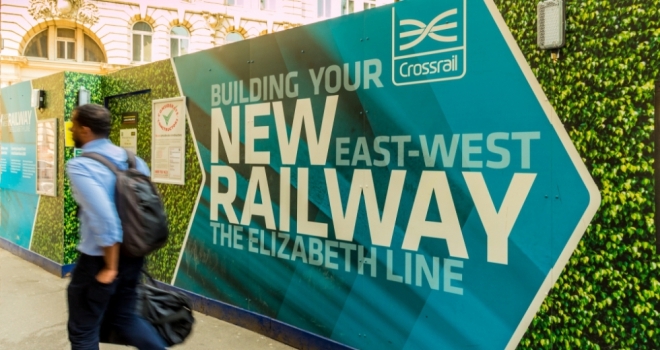 According to the report, the £15bn Crossrail project has had major economic impact on many areas along the line. The Elizabeth Line, which will open to commuters in Autumn 2019, is set transform the way people travel in and out of London and the South East – improving access to jobs in the centre. As the major construction project draws to a close, the Landbay Rental Index examines the effect it is already having on rental growth along the new rail network. Rents in the areas surrounding the 38 stations analysed along the Elizabeth Line have (excluding zone 1) grown from an average of £1,193 in January 2012 to £1,376 in June 2018. This means that, on average, renters had to fork out an additional £2,196 this year compared to when construction started in 2012. Three areas surrounding the stations along the Elizabeth Line have seen rents grow by over 30% since 2012. The station that has seen the highest rental growth is Southall in the West (38.19%), while Manor Park and Romford to the East have seen rents increase by 37.24% and 30.47% respectively. The surrounding areas of eight stations have seen rents rise between 20-29% since 2012, including Abbey Wood (26.51%), Ilford (27.24%), Seven Kings (26.09%), Goodmayes (25.18%) and Chadwell Heath (27.35%) to the East of the line, and Burnham (26.02%), Iver (28.03%), and Hayes & Harlington (21.05%) to the West of the line.